If you, like myself use an Optivisor when you are modeling, I am sure you are also looking for extra light so you can see those little details like rivets and bolt heads. 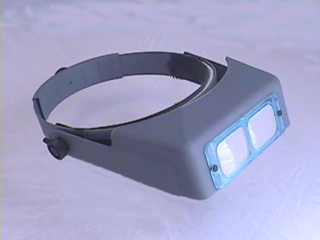 Quasar LS Model 6010 is a ‘lighting system’ for your magnifying visor like the Optivisor. 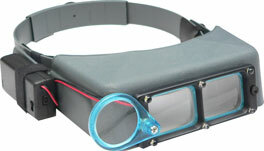 They send you longer studs and everything you need to connect the frame with 6 high intensity LEDs securely and unobtrusively to your visor and a Velcro like strap to hold 2 AA batteries not included. I ordered mine through Amazon for $25 plus shipping. A bit pricy, I thought but considering how much I use it, well worth it!